Many infectious diseases can fade away after initial outbreaks. Bubonic plague, cholera, and influenza are examples from recent human history. The same phenomenon occurs for wildlife diseases as well. How does this happen? One popular explanation is that the pathogen evolves to become less deadly, so that it doesn't completely wipe out its hosts, ensuring pathogen survival. While this scenario does sometimes play out, we know that there are other reasons why the severity of diseases can change over time. For amphibians, herpetologists have known about a highly lethal disease called "chytridiomycosis" since the 1990s. 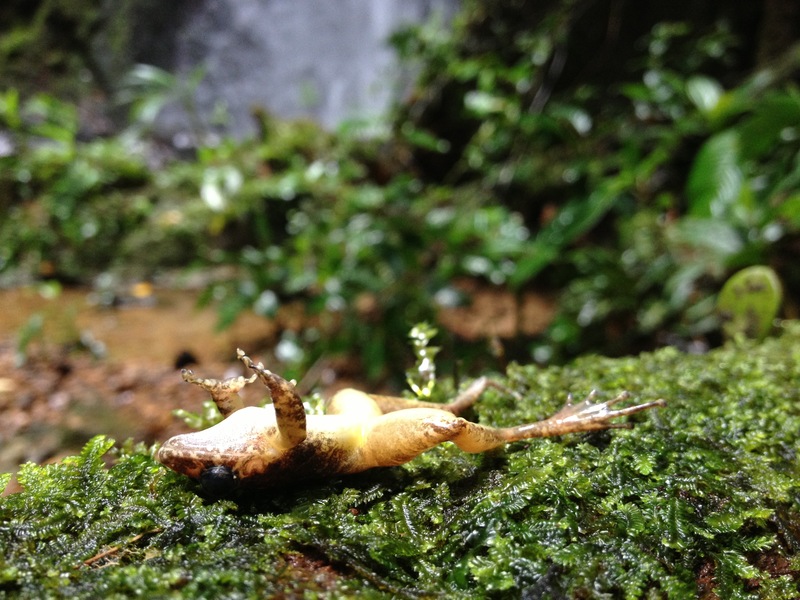 This disease was especially devastating in Panama, where it had a catastrophic effect on tropical amphibian assemblages. Two young investigators, Cori Richards-Zawacki and Jamie Voyles, were there to witness it. At the time, they were bright-eyed young graduate students. But starting in 2004, they and others began to find sick and dying amphibians in their study sites. They scrambled to collect samples and help isolate the fungal pathogen that was responsible for the die off. Not long after the outbreak, the amphibians of Panama, including their beloved study species, the Panamanian Harlequin frogs (Atelopus varius and A. zeteki), vanished from the streams. These species, which are considered a Panamanian national treasure, were soon rumored to be extinct from the rainforests of Panama. Fast forward several years. A new field crew had arrived in Panama. 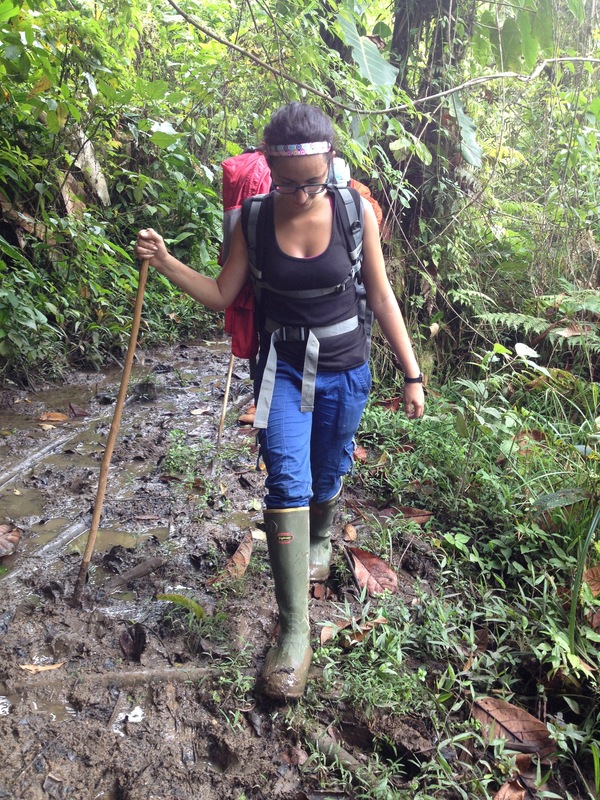 Our team was comprised of young women scientists, American and Panamanian, with Cori and Jamie leading way. We were also naive grad students, driven mostly by curiosity and a love of frogs. We spent long hours surveying the sites where the Panamanian Harlequin frog had once been common. Locals would ask what we were doing on our knees looking under rocks along the stream. Many would reminisce about how much the forests have changed over the years. As we kept up with our systematic surveys, we started finding frogs – even frogs that were whispered to be extinct. 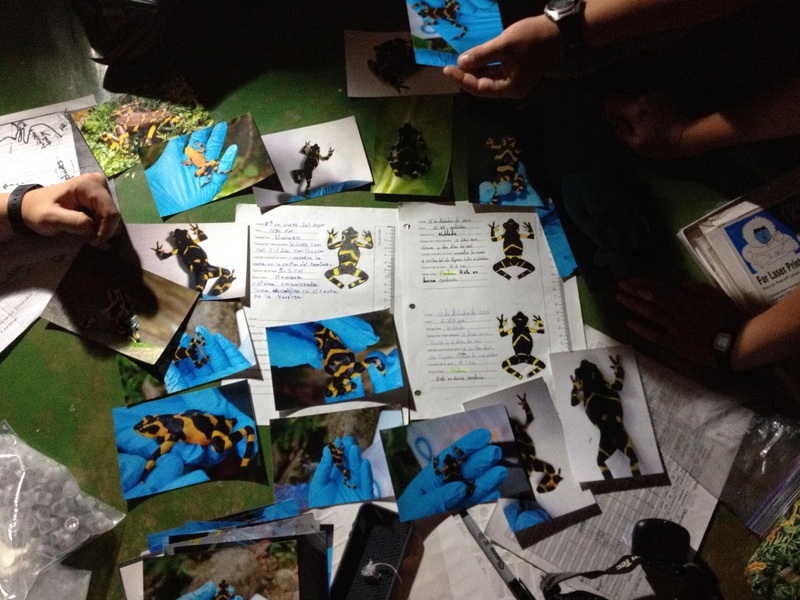 Our species lists grew longer, and one day, after trudging up muddy trails and slippery streams, we came across a bright yellow frog with a mosaic of black streaks and spots – a Panamanian Harlequin frog! Ultimately, our surveys revealed that that several amphibian species are persisting, and even recovering, long after the lethal disease outbreaks that Cori and Jamie witnessed. We wanted to understand how it was happening. Was it a change in the pathogen, the frogs, or both? To answer these questions, we did two things. First, we collected samples from the frogs and the pathogen the same way the scientists before us did. Second, we headed to the lab to conduct common garden experiments to empirically test for changes in the pathogen or in the frog samples that had been collected over time. We found that, nearly a decade after the outbreak, the pathogen was just as deadly for frog hosts in controlled laboratory experiments. In contrast, the frog samples (samples that were collected before the outbreak and during our recent surveys) indicated that the frogs now have better defenses against the pathogen, suggesting that Panama's frogs are fighting back! 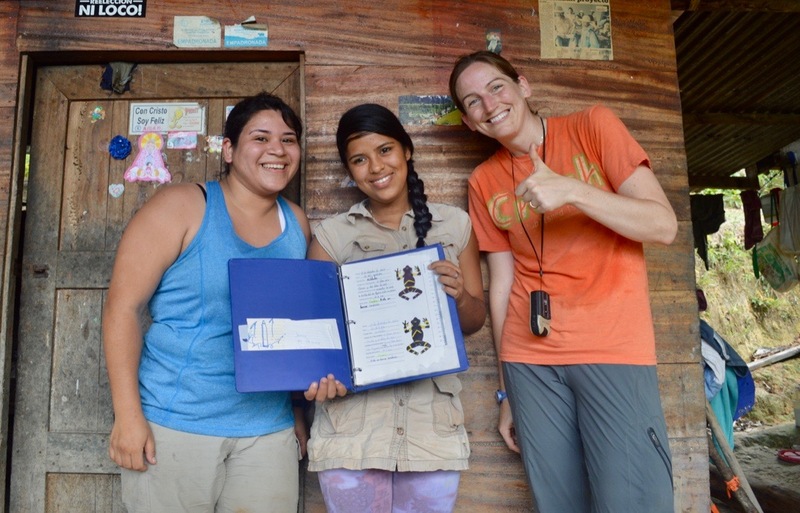 Our team of women herpetologists is now dedicated to research and education on the plight of amphibians (many threats remain), and we are deeply involved in local conservation efforts. When we arrive in Panama, the locals call out, “llegaron las chicas ranas!” (the frog girls arrived!). 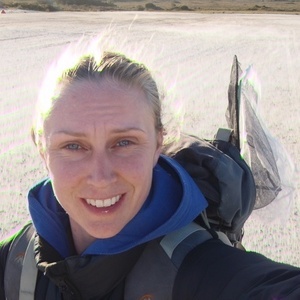 This study was important for its key insights into disease ecology, but it also allowed us to shine a light on the amazing biodiversity of the tropics, to connect with local communities that want to protect the natural world around them, and to inspire another generation of bright-eyed little girls that might want to grow up to study frogs.